We are pleased to report that WRP Consulting Engineers, a local water engineering firm, kindly donated an electronic rain gauge to the FGNR. The FFGNR appreciate this kind donation greatly. 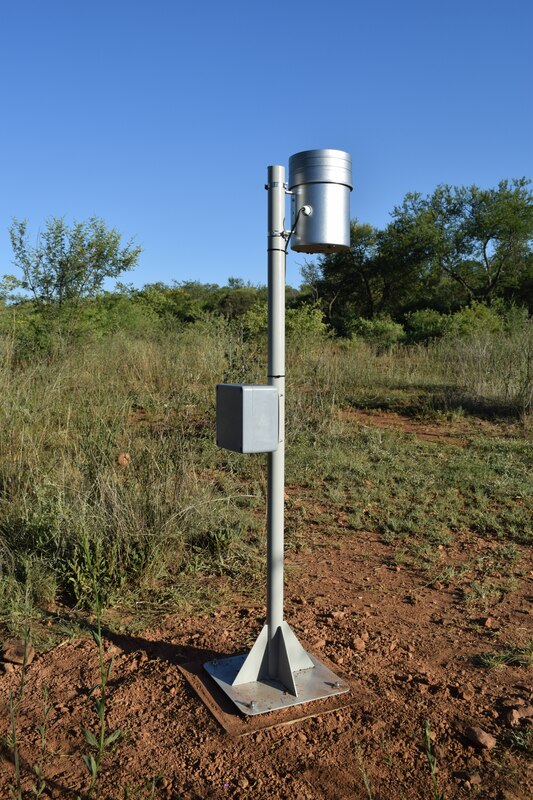 The rain gauge was commissioned on 1 December 2018 and will provide rainfall data via the Zednet data acquisition and display platform. 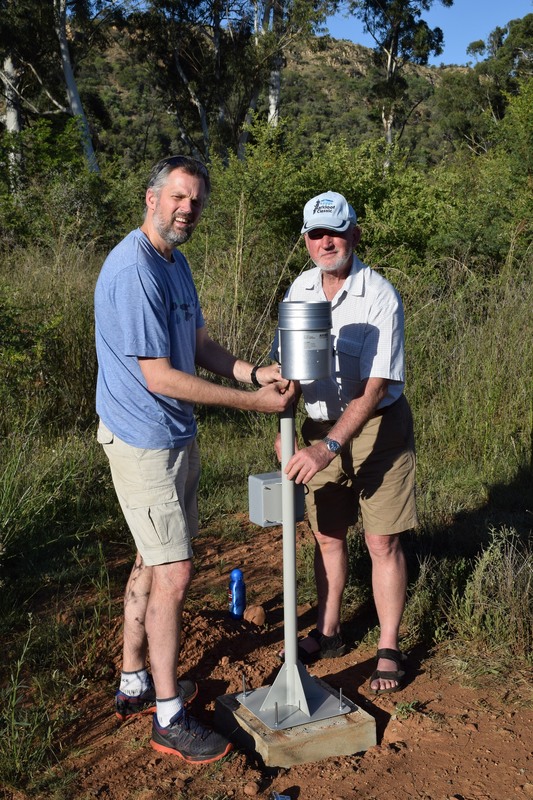 The gauge was installed adjacent to the existing conventional rain gauge near the main office. Rainfall data is collected by a GSM data logger connected to the electronic rain gauge. The data logger records the number of tips (each representing 0.2mm of rainfall) in a tipping bucket inside the rain gauge. This rainfall data is then uploaded to the Zednet platform (a data hosting platform developed by WRP) once a day at 06:30 and provides a record of the rainfall for the previous day. Anyone can access the data on the Zednet platform. To access the data on a web browser visit live.zednet.co.za and enter the username (FGNR) and password (Rainfall). Once logged into the platform, select ‘live data’ and then navigate through the folders to expose tick boxes for ‘Rainfall Intensity’ and ‘Rainfall mm/day’. Click in either of the tick boxes to display their data. The data range can be selected by changing the start and end date of the display period. The Zednet mobile app can be downloaded from the App Store (for i-phone/Apple device) or Google Play store (for Android device). Once downloaded, enter the URL live.zednet.co.za and same username and password to access data via the app.